This is a view of Bay Lake taken from the pool area of Bay Lake Tower. 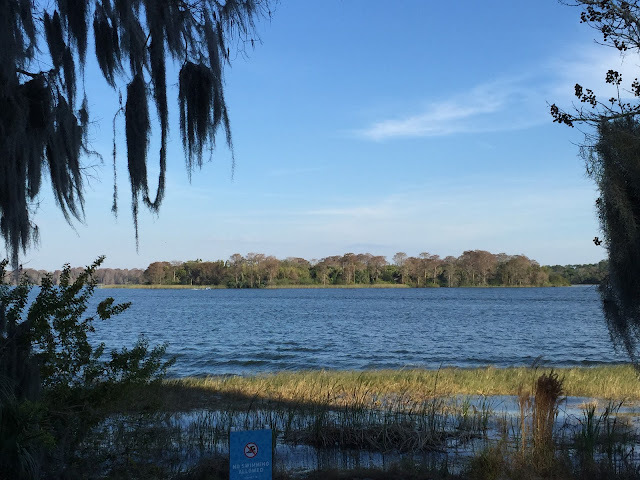 This is the body of water that was first spotted by Walt Disney from his airplane when he decided to buy this property. It is such a natural and serene view that it is hard to believe that the busiest theme park in the world is a short walk in the other direction.